Peches & Poivre’s Cheese of the Month benefits Hub Hospice Palliative Care. Fritz Kaiser in Noyan, Quebec, founded the Fritz Kaiser cheese factory in 1981 near the border with the state of New York. Mr. Fritz Kaiser began crafting his cheeses according to traditions from his homeland Switzerland. This is a cow’s milk cheese with a soft interior and mixed rind. 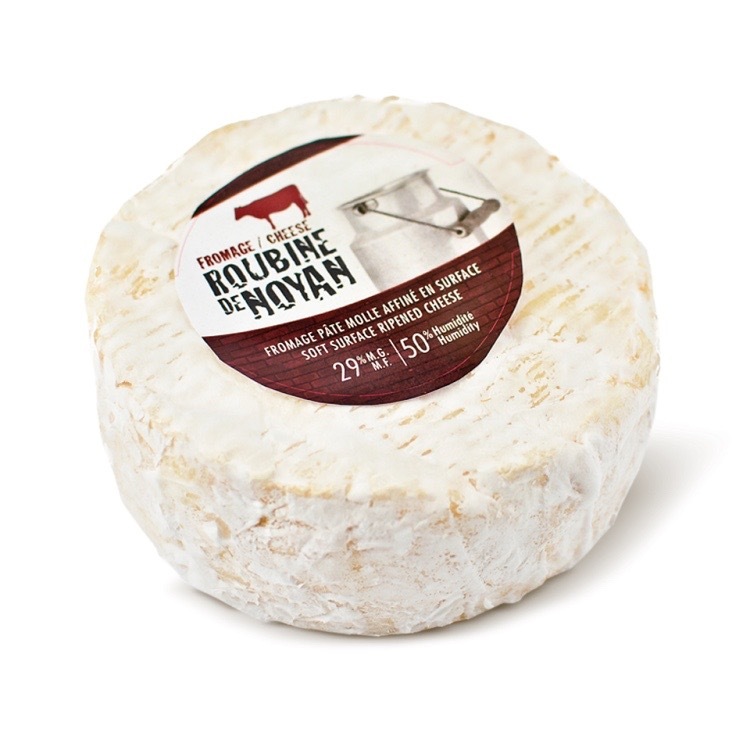 When young, Roubine de Noyan has a thin white rind over a coppery layer. Its earthy mushroom aroma is accented by the subtle nutty taste of butter. The interior is melt-in-your-mouth to runny with a very soft core. This cheese would pair well with a fruity and sweet white wine such as the Esquinas De Argento Pinot Grigio or a fruity and medium bodied red wine such as the Diabolica (red blend). ENJOY! Pick up a piece of le Roubine de Noyan , December’s Cheese of the Month, and know that you are helping to contribute to a valuable community initiative; 10% of the proceeds from sales of this special cheese will be donated directly to Hub Hospice Palliative Care.